I just tweeted the following info. It might be useful for some of us. 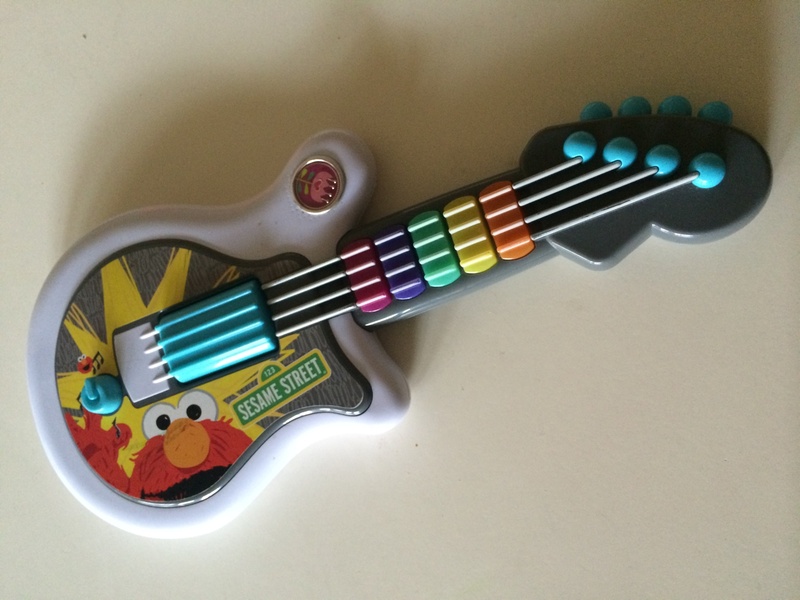 For those whom interested, the deadline is 31 Oct.
After several jam sessions of air-guitar, my daughter convinced me to play a real guitar. Perdana Rahardhan (kandidat doktor IT dr Usyd) menjawab. 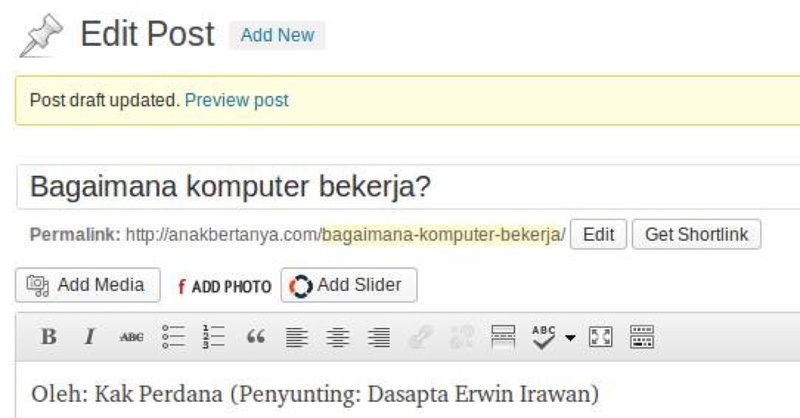 Segera tayang di www.anakbertanya.com: blognya anak yang suka bertanya. Groundwater and river water interaction at Ciromban and Cibeureum riverbank, Tasikmalaya: can we solve water shortage? Authors: Pratama, A, Abdulbari, N, Nugraha, MI, Prasetio, Y, Tulak, GP, Darul, A, and Irawan, DE, Accepted for oral presentation. 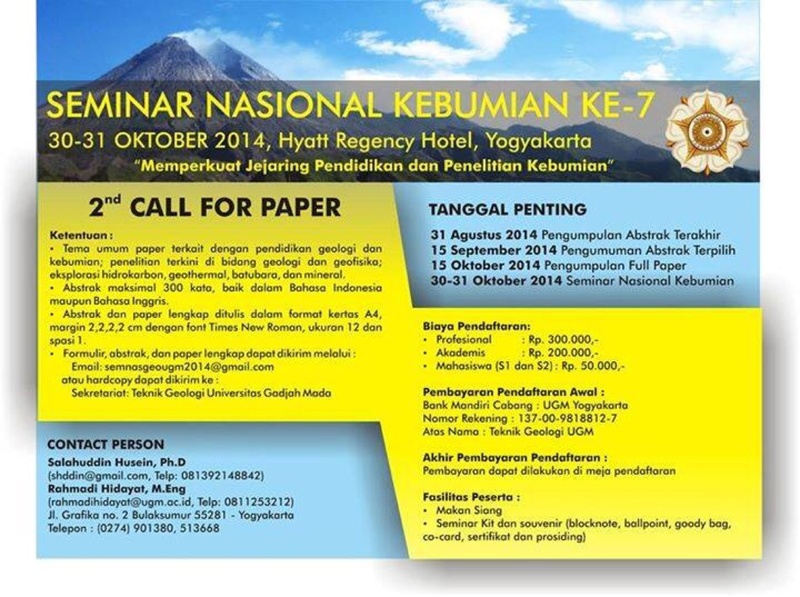 Authors: Ahmad Darul, Dasapta Erwin Irawan(*), Nurjanna Joko Trilaksono, Accepted for oral presentation. Authors: Sunarwan, B. (a), Irawan, DE. (a*), Puradimaja, DJ. 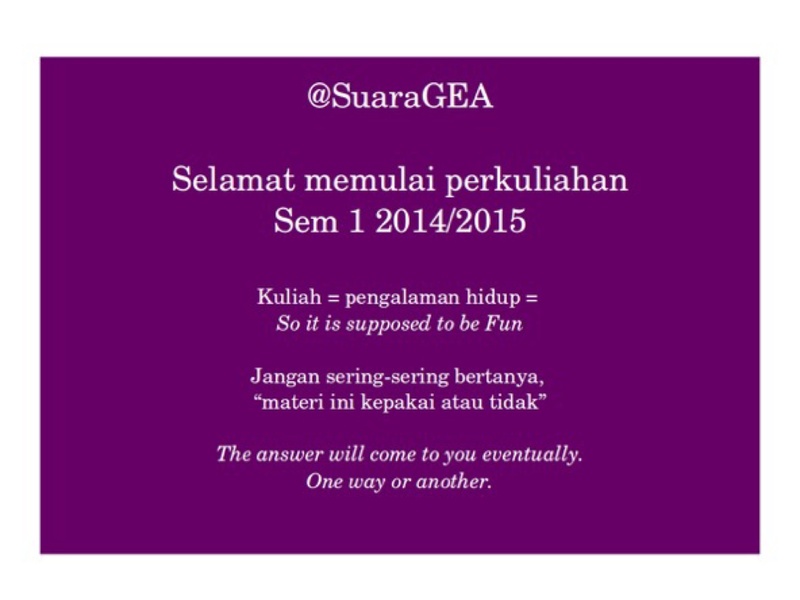 (a), Notosiswoyo, S.(a), Sadisun, IA(a), Setiawan, T(b), Anugrah, RM(c), Accepted for oral presentation. 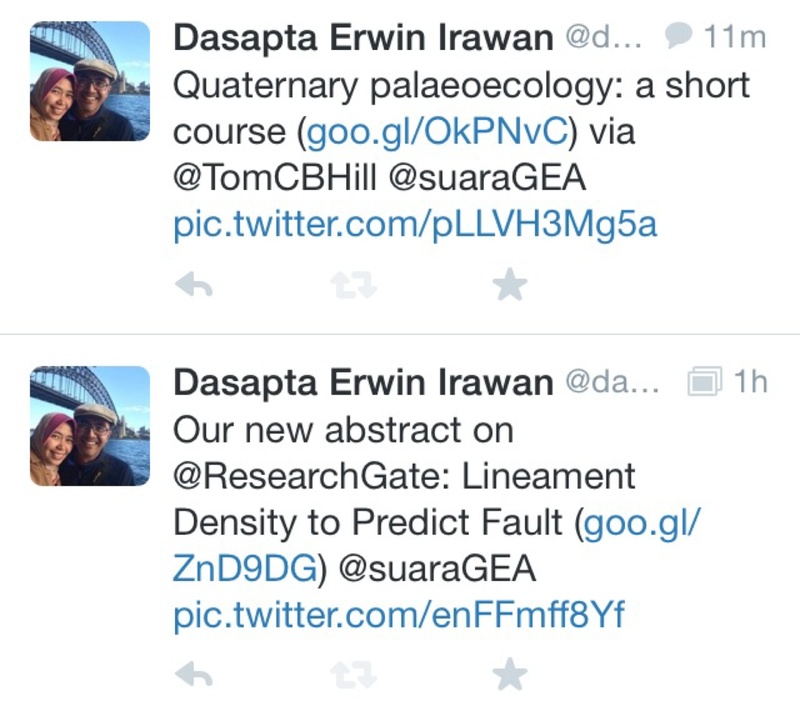 Awang Satyana, a prominent geologist, gives an answer. The article is in proofread stage by author. How to travel light to work? I just updated my Research Gate and Academia profile with a publication. I invite you all to visit and download it.